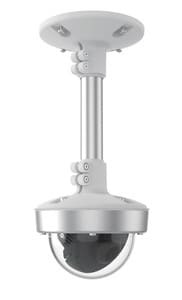 The v26 camera is a vandal resistant indoor camera that features the Mobotix 6MP moonlight sensor. This means that the camera is vandal resistant and is able to provide the best image possible in almost every indoor environment. 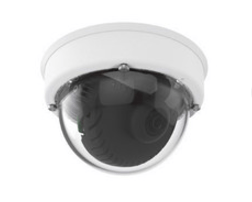 The Mobotix v26 also has extra optional vandal resistant protection kits making it even more secure that it already is. Like all of the other 6 series models this camera is very quick to install. The camera also supports MxAnalytics which allows people statistics and heat map recording without an extra PC. This actually comes embedded into the camera, making it viable in places like shops, receptions, detention centers or education applications. There is also an optional audio on-wall kit for the v26 that allows for 2-way communication between someone at the camera and someone monitoring remotely. 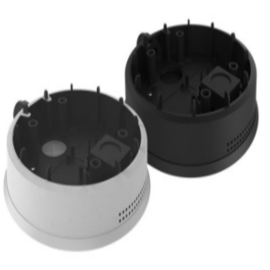 It is also compatible with the Mobotix MxTubeMount to allow it to be integrated into unstructured ceilings. With the MxTubeMount it’s possible to adapt up to a length of 2 metres suspended from the ceiling.